Are you looking for exciting and educational gifts? Look no further, on this website or at the the SPARK Gift Shop, located near the main lobby of the Museum. You’ll find a great variety of gifts sure to spark anyone’s imagination. 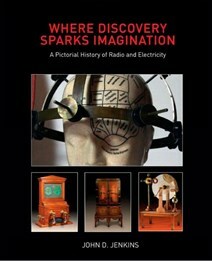 This one-of-a-kind book examines the early history of radio and electricity, presented via a marvelous collection of over 600 photographs of actual apparatus, many of which have never before been published. Where Discovery Sparks Imagination brings science, technology, and American culture to life. Autographed copies available upon request. If interested in purchasing this book, click here. 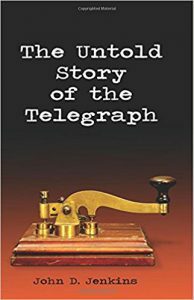 The Untold Story of the Telegraph examines the early history of the electric telegraph, including a close look at the many oddball schemes for electrical communication that preceded the Morse system. The latter is examined in detail, illuminating the process that led to its invention. Excellent source documents and over 90 photographs and illustrations (most in color) help tell the story. 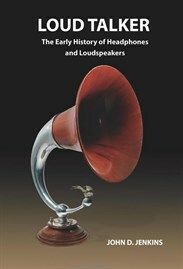 In Loud Talker, author John Jenkins examines the early history of loudspeakers and headphones, including a close look at the many oddball devices that came along the way. Also included is a color photo gallery of some of the most beautiful and unusual vintage loudspeakers ever made! Excellent source documents and over 70 photographs and illustrations (most in color) help tell the story that lead from early experiments in electricity and sound to the development of modern loudspeakers.